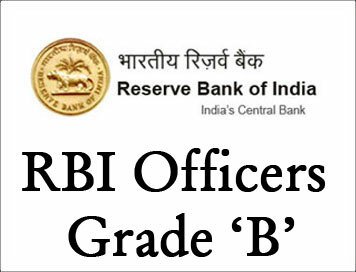 (Paper) RBI Grade 'B' Officer Mains Exam Paper III - 2010 "Finance And Management" | BANK EXAM PORTAL : IBPS, SBI, PO, Clerk, IPPB, Bank Jobs Aspirants Community. (Paper) RBI Grade 'B' Officer Mains Exam Paper III - 2010 "Finance And Management"
(1) Attempt any three questions from Section I and any two questions from Section II. (3) Answers must be brief and to-the-point. (4) Answers may be written either in English or in Hindi at the candidate’s option. However, all the questions should be answered only in the language so chosen. Answer-books written partly in English and partly in Hindi will not be evaluated. 1. Explain the different aspects of the Indian Capital Market. What has been the role of SEBI in this task ? 2. What is foreign exchange risk ? How can it be managed ? Discuss the tools used for the purpose. 3. What is credit rating ? Discuss its benefits and limitations. 4. Briefly discuss the framework put in place by the Reserve Bank of India for the supervision of banks and financial institutions. 5. What are the arguments advanced in favour of foreign direct investment ? What steps have been taken by the Government in the period after 1991 to encourage foreign direct investment ? 6. “ Planning is the bridge between the present and the future ”. Discuss. 7. (a) Explain the terms “ centralisation ” and “ decentralisation ”. (b) Explain the role of delegation of authority in making decentralisation effective. 8. What is decision making ? What is the role played by Management Information System in decision making ? 9. Discuss the role of communication in an organisation. What are the barriers to effective communication ?